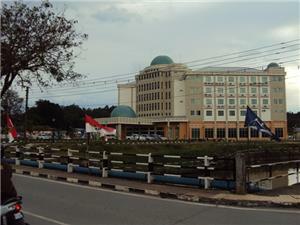 Lawas is a small town situated around the north-eastern regions of Sarawak on Borneo island. It is a quiet and peaceful town with not much to offer in terms of entertainment, but it is a different story when it comes to tranquil scenery. The area is surrounded by lush greenery and cloud-shrouded mountains around a number of fishing villages. Ba Kelalan, a highland village famous for its fine rice and tropical apple yard. Highlands Iodine Salt, known to be good at preventing thyroid disease. Lumbawang Nasi Bungkus, a rice dish wrapped in leaves that goes well with salted fish. Although this is a coastal town that is practically surrounded by water, people prefer to travel to this peaceful fishing village by boat and by taking a bus to Lawas. However, the bus to Lawas is only available from selected locations, like Bandar Seri Begawan, Beaufort, Kota Kinabalu, Sipitang and Limbang. Despite being a small fishing town, Lawas actually has one bus terminal, which is the Lawas Bus Terminal located near Jalan Liaw Siew Ann. But visitors should take note that there is currently only one bus operator that offers the route for the bus to Lawas, which is the Sipitang Express. The main bus terminal is located near Jalan Liaw Siew Ann and the only bus operator that offers this route is the Sipitang Express. There are only a few departures heading to Lawas, which are mainly from Bandar Seri Begawan, Beaufort, Kota Kinabalu, Sipitang and Limbang. 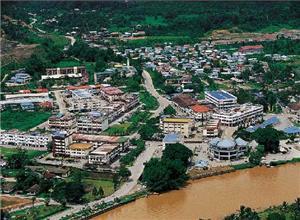 Lawas River, Ba Kelalan, Awat Awat, Kuala Lawas, Long Tuma, Merapok, Punang, Trusan, Sundar, Kelabit Highlands. Book your tickets for the bus to Lawas today!